A China-based manufacturer called RAK Wireless has released the RAK833 LoRaWAN gateway module a couple months back. This has already been used hugely to create a gateway for ‘The Things Network’. Now they’re back with the new RAK8213, an NB-IoT and LTE Cat M1 module in the same mini-PCIe form factor as the RAK833. 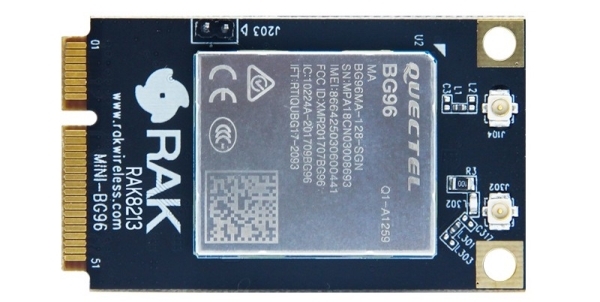 The RAK mini-PCIe card is constructed around the Quectel BG96 module, which provides both NB-IoT and LTE Cat M1 along with GNSS (GPS, GLONASS, Galileo, or BeiDou) support. The mini-PCIe form factor is often associated with laptop computers, but recently we’ve started seeing that some single-board computers targeted at the maker market are also featuring this form. 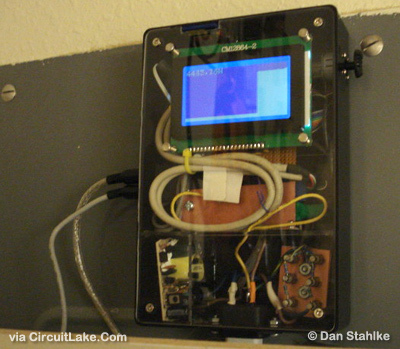 The Pine H64 single board computer is an example of it. Besides that, we’ve also noticed the rise of other mini-PCIe modules, such as the UP AI Core, or the PicoEVB, also aimed for makers. This card can be added to netbooks/notebooks or routers in the mini-PCIe socket. 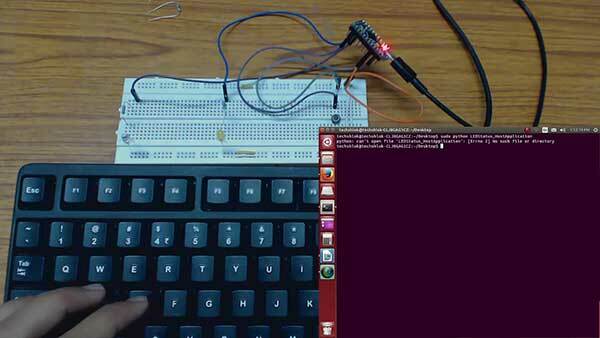 It can be used for remote monitoring, smart meter reading, and so on. The user manual for this card basically explains how the user can send AT commands over USB or UART to the card in Windows, and how to set up the board with Hologram IoT SIM card. RAK8213 is not the first NB-IoT/eMTC mPCIe card on the market. There are also some SIMCom SIM7000 based modules for about $30. However, it should be noted that the new RAK8213 works globally but SIM7000A / SIM7000C / SIM7000E work in specific regions, namely America, China and Europe. READ Analog Devices' RF Power Detection Technology Raises Performance Threshold for Cell Phones and Wireless Base Stations : ADI's ADL5502 crest-factor RF power detection IC enables cell phone designers to extend battery life and better process complex 3G and 4G signals, while the ADL5513 logarithmic amplifier delivers a wider range of power level detection and control for Tx/Rx designs.